Okay! 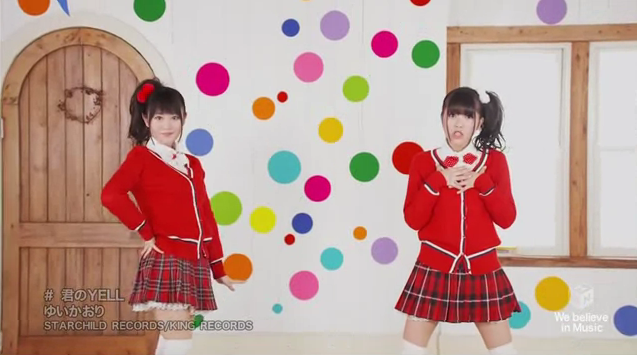 Musume Time: Creeper Stares and Smiley Faced Coffee - YuiKaori's 'Kimi no YELL' PV Review! 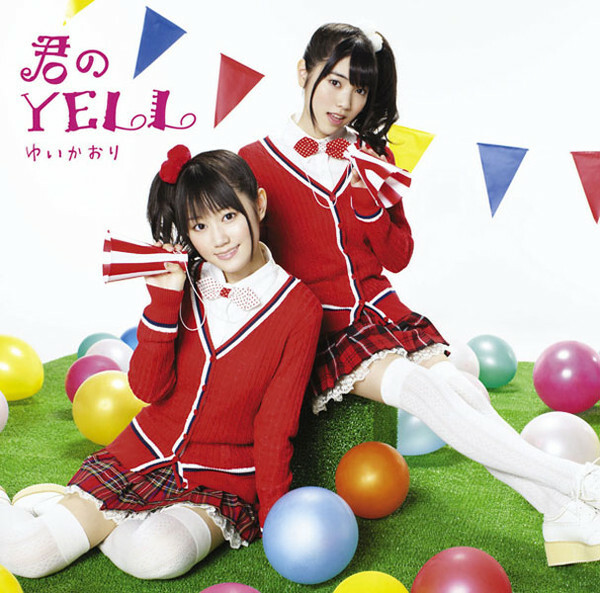 Creeper Stares and Smiley Faced Coffee - YuiKaori's 'Kimi no YELL' PV Review! All thoughts and opinions on this group, their songs and videos are my own and no one else's, unless it is otherwise stated. Please respect how I think and feel, and I will in turn respect your thoughts on such matters. Please do not bash me for how I think. Thank you. 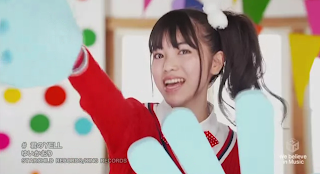 Recently, their single Kimi no YELL came out and I impatiently awaited the release of the full PV for the song - a teaser of about 2 minutes had been brought out previously, but for a while there was no sign of a full video. 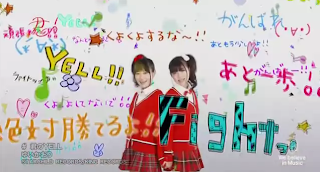 However, I finally found one, and was surprised by the small storyline present, as well as the overall cuteness of the video. 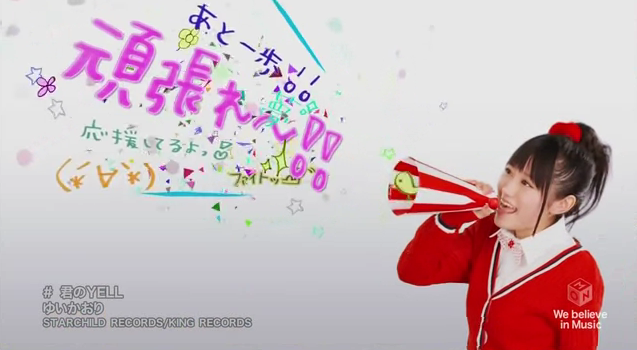 With that said, let's get into the fun and colourful cuteness that is Kimi no YELL! Okay, that's one cute room. 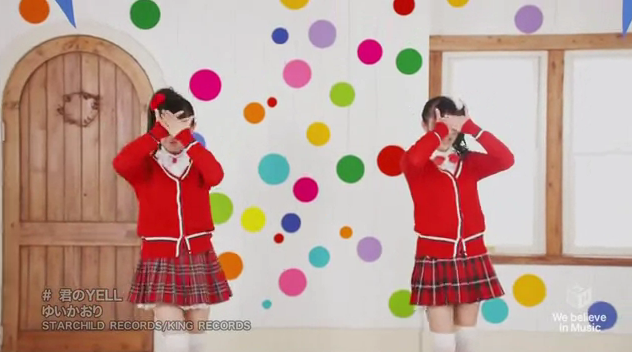 ... And Kaori is the school girl. Is it just me who wants them to switch roles? Kaori is pained by the fact that the younger one has a job before her! Waaah! Whilst Creeper-smiling Yui is absolutely fine by it! 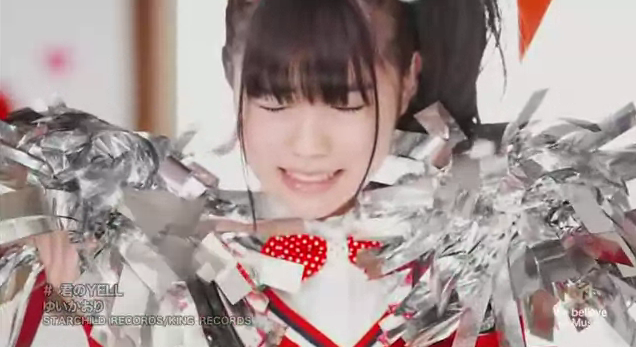 By the way, this girl doesn't stop freakin' moving in these scenes, it's annoying when you wanna screen cap something. Oh no, if you play Peek-A-Boo, I won't be able to find you like that!!! Kaori is a hard-studying student! She's been taking tips from STUDYxSTUDY by StylipS!!! Good going, girl! Wait, why are there foam hands here? Are we at a football match? Yes, because Kaori knew right away what she wanted, and where it was on the menu before it hit the table. Yui: "Give me candy, please!" Kaori: "Give me the candy, or I won't get in the van." Yui: "I have never seen such perfection before my very eyes until this day..."
Kaori: "Why do I get the feeling that someone is staring at me...?" Kaori is tired from all of her studying! Maybe she should take a sip of that juice. Wait, why are we back here!? Lord, you're pale... You look ill, woman. This scene was really cute - Yes, you Yell to the world, Yui! ... 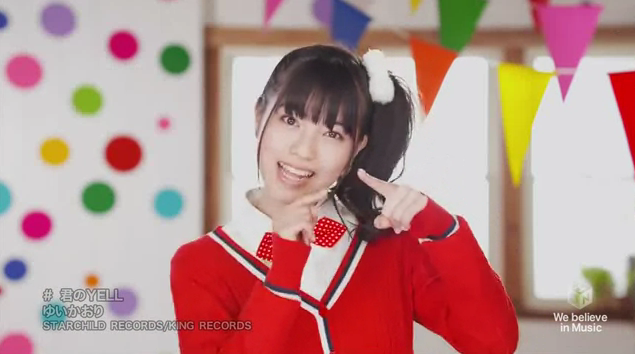 But Kaori's is cuter. You go, Kaori, you yell! Profanities for ALL!!! A cheap, but effective, scene! Omg so awesome!!! 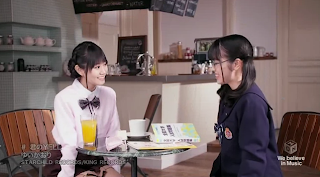 Yui: "Screw the fact that you've not even touched your orange juice and have some tea." Yui: "That will be $5.00~"
She has juice!!!! That she has not even sipped you interfering waitress!!! Yui: "Bye bye, thanks for your moneyz!! !$$$"
She still has YET to drink the OJ!!!!!!!!!! Hey wait, that was a really short pic spam from me... Oh well, onto the review part of this post! Mwahaha, we are not done yet!!! So, what are my overall thoughts on this video and song? Well, considering that I have listened to the song more than I have watched the video for the song, I like both of them, but understandably, I like the song a tiny bit more. I enjoyed the PV, despite the good amount of Yui focus that the video has going on, and the song is just adorable and really nice to listen to. It probably isn't their best, but I rank it quite high. This PV is really cute and colourful - something I would expect from an energetic and happy song like this. I enjoyed the dance shots, where the girls are in a polka-dot room with bright red outfits that stand out against the walls and bring focus to the girls. It's like the costumes themselves are shouting at the viewers to look at the girls rather than the background, which is what we want to do. What we do see of the dance is a really cute, energetic and rather busy dance which uses a lot of jumping around and arm movements, especially when it comes to Yui's parts. 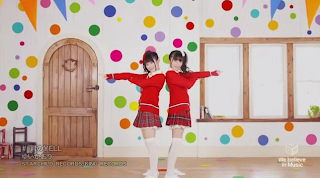 Ii really enjoyed the dance scenes, and thought that they were really cute, though it was rather Idol-ish, something that you would see from a girl group that portrays a cute image. However, that doesn't really bother me - I thought it was cute. But I think that the one thing I really liked about this video was the story line. Whilst it isn't a very large storyline, it still depicts a sweet relationship between the two girls and shows a bond between them, despite the two being strangers at first. 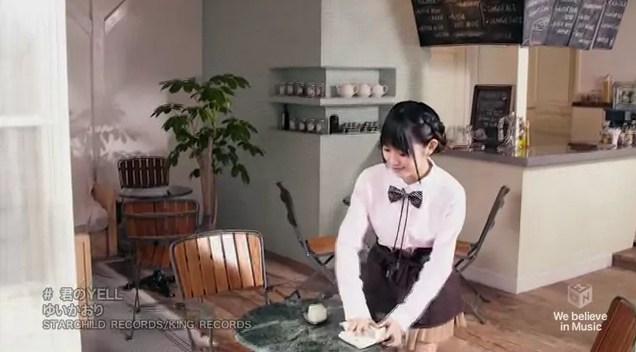 I did at first wonder why Yui was the waitress and not Kaori, as Kaori is about two years older than her partner in crime, however it became a lot clearer when I realised that this video is pretty much showing off Yui more than Kaori, creating an Angelic image of the girl and creating a persona of a Waitress who cares for her customers when they are in need of a little pick-me-up, hence the smiley coffee/tea that she brought to Kaori when she became frustrated with her studying. I thought that the scene was sweet, though I wished that the focus wasn't pushed mostly onto Yui, especially as these two are a duo. But, that aside, I did like the message it gave - That there is always a friend there when you need them to make you happier. I liked that the video showed off the good relationship that these two girls have, even though they are supposed to be strangers throughout the video (or not, who knows, this is how I interpreted it). So, whislt this story line wasn't so big or even the greatest plot of all, it was nice and made the video more interesting that just a video with dance and close-up shots. 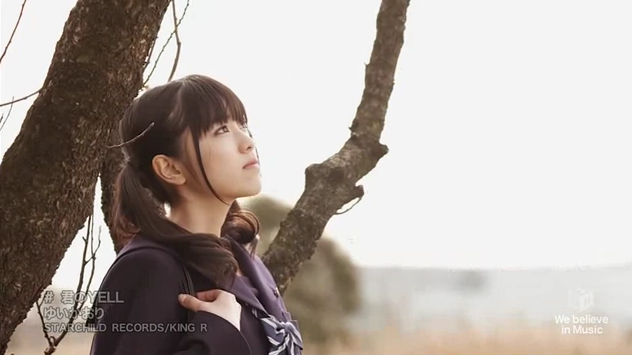 I enjoyed this PV - it may not be the most fantastic video out there, or the most splashed out on, but it is definitely worth the watch, because I find YuiKaori really entertaining. They create great expressions and have a nice relationship that you can relate to in a way, with how close they are. I sometimes get lost in how well these two work together, they seem like one rather than two, and I like that. It's better for people to blend than for a group or duo to look like they are just people who were stuck together for money making purposes. 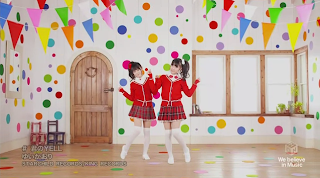 These two girls really made the video work, and though it is rather simple, it is still really cute and sweet, much like the song itself. Kimi no Yell is a really cute song - I think that's mostly because of Yui's voice, but I really love how the song sounds. It somewhat reminds me of my favourite YuiKaori song, Shooting Smile. 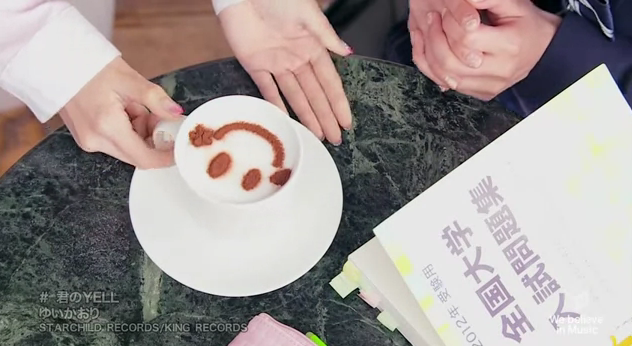 It has that cute and happy beat to it, with a sort of soothing element added in there to give it that extra something. 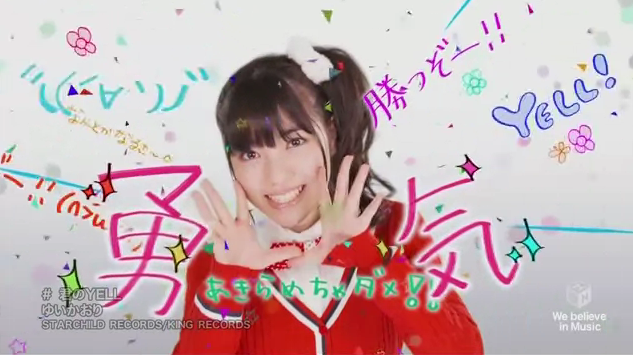 I enjoy how peppy the song itself is, especially on the more energetic beats in the instrumental, and how it can change from cute and happy to a slower and more calming beat that you could easily sway to. I also love how beautifully Yui and Kaori blend together when they sing - their voices really mix well, though sometimes I think that Yui is kind of overpowering. But, these two really sound great together. They both have great voices, with Yui's being much more cute and higher than Kaori's softer and lower voice, and they create a nice contrast for each other whilst still making a great combination when they sing together. They are enjoyable to listen to, and I absolutely love their voices. 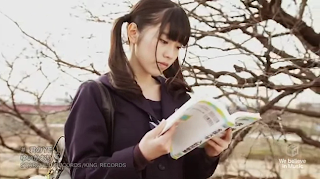 Me being the biased mole-chan/AKB48 lovechild fangirl that I am, I was absolutely fine with the Yui focus of this PV UNTIL THE GLASSES CAME OUT. OH MY GOD I WANT YUI IN THOSE GLASSES. KAORI CAN HAVE THE MAID OUTFIT IF I- I MEAN YUI CAN HAVE THOSE GLASSES. 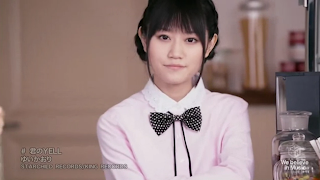 After realizing that I was wrong and have been for the past two years for thinking that Yui was the older one, I too was a bit confused about the roles. 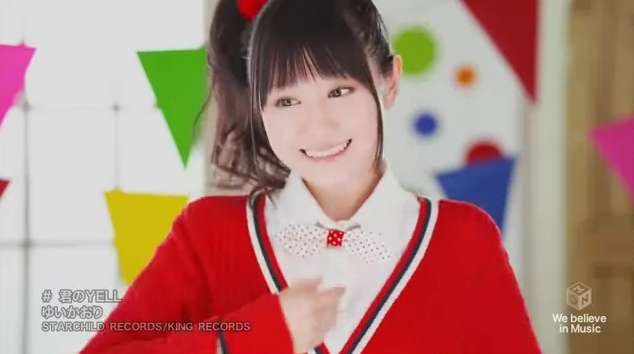 i know, it's surprising that such a decent PV is coming from a UFA group. 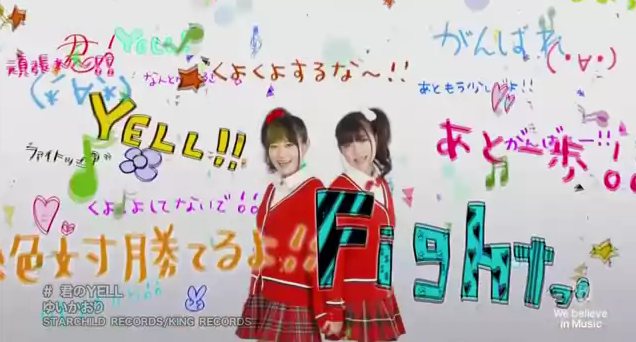 Their signed to King Records and not one of UFA's crappy record company's although Pony Canyon is alright. 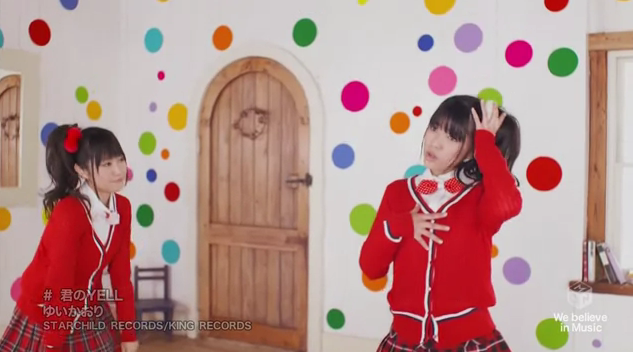 Have you seen their PV for Puppy Love? I'm completly in love with that song.